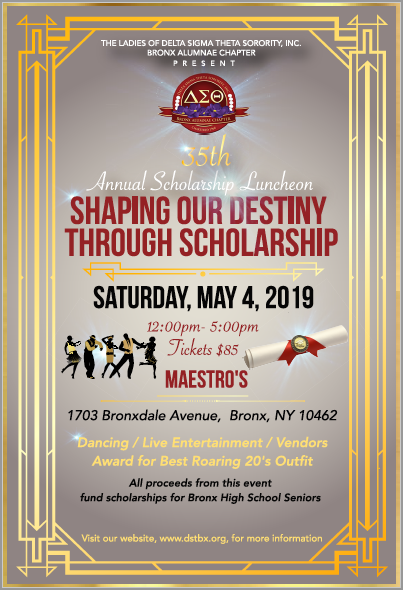 The Bronx Alumnae Chapter of Delta Sigma Theta Sorority, Inc. host an annual Scholarship Luncheon to raise funds to support Bronx resident students in pursuit of a college education. 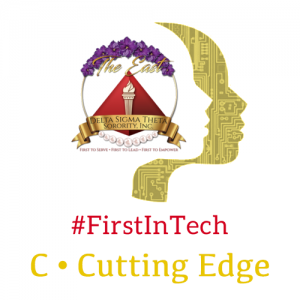 The funds raised will assist high school seniors to alleviate some of the financial pressure associated with college tuition. Currently, we award one entering freshman and three continuing students a four-year scholarship in the amount of $6,400, dispersed at $800 per semester based upon proof of registration at a university or college and maintaining a grade point average of 2.75. In addition, we award several one-time scholarship grants, varying from $500 to $1,000, to Bronx High School seniors entering college.